Its March! 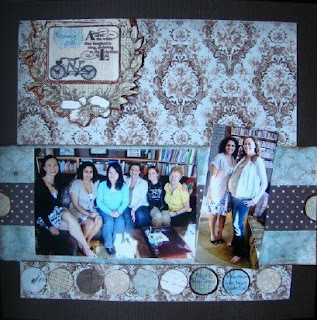 Scraptivity's March kit was so fun to play with. Here are a few I got done this weekend. The technique this month was to use Shimmerz. It is like liquid glitter! LOVE this stuff. It is hard to photograph but it adds such a great shine and subtle colour to the layouts. 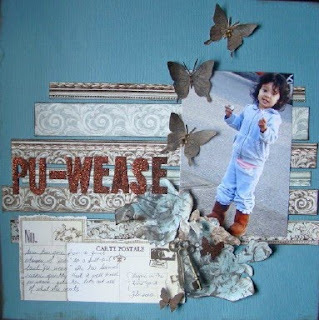 I used it on almost everything, the butterflies, titles, fabric and even on one of the pics. Check out the rest of the design teams work here. Wow, you've been a busy beaver! 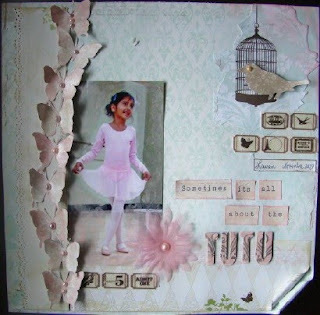 LOVE the layout with Lauryn in her tutu. I hope Sahvia doesn't lose her baby fat before starting ballet. I can just see her chubby little tummy in one of those outfits. LOL! Ok, now I have to get a butterfly punch. I've seen it in your work before and thought "I don't really need it". But I DO, I really DO!